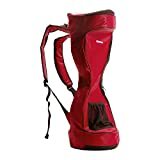 Top 10 best hoverboard bags is a list of the most popular hoverboard bags. 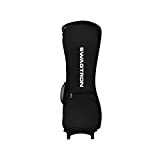 You can choose from regular hoverboard bags that you can carry in your hands, hoverboard bags that can be strapped around your shoulders and also fire-retardant hoverboard bags while you charge them. If you own a hoverboard and have used it for a while, then ​you know that a bag to carry it around is very useful. Most hoverboards weight around 22 lbs or about 10 kgs. While it is possible to carry one without a bag, when you have to walk a distance or go up stairs or into a store, than a bag is needed. Also you cannot know when the hoverboard's charge drains, and then you have no option but to carry it. 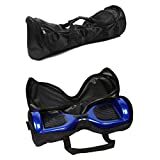 Hoverboard bags range from 8 dollars to 25 dollars depending on the quality and other specifications.​ The Top 10 best hoverboard bags list below has a range of hoverboard bags with different prices. 1. Make sure that the bag size is correct for your hoverboard. The 8 inch wheel hoverboards and the 10 inch wheel hoverboards need bigger bags. Most hoverboard bags are for the regular 6.5 inch wheel hoverboards. 2. Think carefully about how you want to carry your hoverboard before choosing a bag. 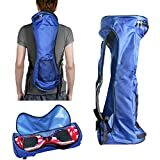 If you are comfortable slinging it around your shoulders then make sure the specifications of the bag say that it has a shoulder strap. 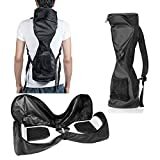 In most bags the straps are only good for carrying the hoverboard bag on your back, or to carry the hoverboard like a bag. 3. It is a good idea to get a waterproof hoverboard bag. Check with the specifications to find out whether it is made of waterproof material or not. 4. Specialized fire-retardant and fire-proof hoverboard bags are also available. They are useful if you want to be extra safe when charging the hoverboard. You can of course also carry the hoverboard in them. 5. The pouch for carrying the charger is usually without a zipper or velcro, so there are chances of the charger falling out. If the hoverboard bag has a pouch with a zipper or velcro it will be easier to carry the charger with the bag. Have a look at these 10 popular ​hoverboard bags, and make a choice as per your budget and needs. We feel that the hoverboard at No. 7 is a good durable and well made one, and a good choice for your hoverboard, however you can choose one that you like. WATERPROOF 1680D Oxford Fabric nylon material,the linner of the hover board bag is waterproof,this will protect your hoverboard from rain, snow, etc. The carry bag can not be submerged in water. 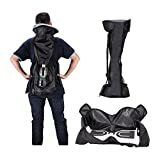 2 ADJUSTABLE Shoulder Straps Backpack Design,free your hand and distributed the hover board weight between the shoulders. Water resistant 1680D nylon - It will protect your Drifting Board from rain, snow, etc. The backpack can not be submerged in water. For comfortable carrying, the backpack is equipped with an adjustable shoulder straps. Mesh pocket-The mesh pocket is the ideal spot to store the charging adapter of your Drifting Board. But you can also use it for drink bottles, wrist guards, sunglasses, beanie hats, etc. 【 PERFECT FIT 】 Hover Board Bag is fit for balance with wheel sizes of 8 inches or less. 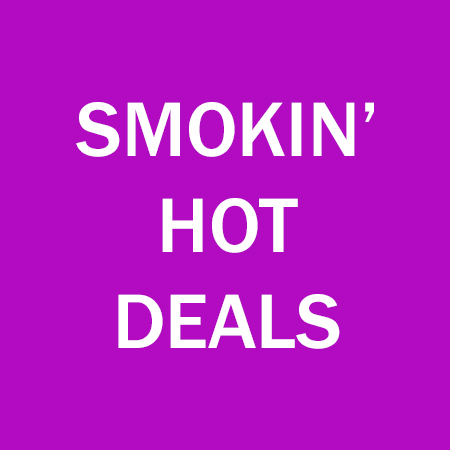 Fits with Segway T1, T3,T5,Powerboard,IO HAWK, swag way and many others. 【 STRONG & STURDY 】 Hover Board Backpack used thickest material on the market. Hold your hover board scooters tightly.2 zippers give maximum access to the carry bag, allowing skateboard backpack with great ease. back strap strong. Soliding sewing. 【 EASY ON SHOULDER 】 Hover Board carrying Bag uses Ergonomically designed shoulder straps to provide the least weight on your shoulder. Cushioning in straps relives pressure and stress on shoulders. 【 EXTRA STORAGE 】 The Self Balancing scooter backpack has a mesh pocket to store smaller items such as keys, a water bottle, and other items. 【 18-MONTH WARANTY 】 Unconditional 18-month warranty on self balancing scooter bag! Compatible with Swagtron T1 T5 T380 T580 T881, and all generic Hoverboards. 【ADVANCED QUALITY and MUCH MORE DURABLE】: This hoverboard backpack bag is made of waterproof oxford material.The quilted design at the bottom is thick, Can play a buffer role, safer and not easy to break. Internal waterproof coating can prevent rain. In addition, dust can be protected to protect the hoverboard. 【EASY to CARRY and STORAGE】: Suitable for 6.5-inch hoverboard, the bag made slightly larger than 6.5 inches, easy to put (put 6.5-inch balance car, the interior slightly looser). Strap cotton quilted design, comfortable and breathable fabric, in line with artificial design. 【FASHIONABLE and SIMPLE DESIGN】:Unisex, meet the needs of different groups of people, easy to carry, easy to travel. Multiple compartment design makes it easy to carry small items. Aesthetics and practicality are all available to give you a different travel experience. 【IT CAN BE CARRIED BY HAND OR ON BOTH SHOULDERS】: With the gradual popularization of eco-friendly and energy-saving balance cars, the protection of it is more stringent. 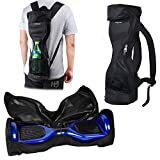 This hover board bag is strong and can be carried by hand or on both shoulders to meet various needs. The storage space of the bag is small, the carrying is more convenient, and the travel pressure is relieved. 【QUALITY ASSURANCE & SERVICE】: Our products undergo strict quality inspection and use safe and environmentally friendly materials. Please feel free to use them. If you have any questions, please contact us directly. We will provide quality services. In the event of a problem with the product, we will give you a refund or reissuance. Please rest assured. MESH POCKET.The mesh pocket is the ideal spot to store the charging adapter of your electric scooters, drink bottles, wrist guards, sunglasses, beanie hats, etc. Hey people, I have been riding hoverboards for a long time now, and was probably one of the early adopters. 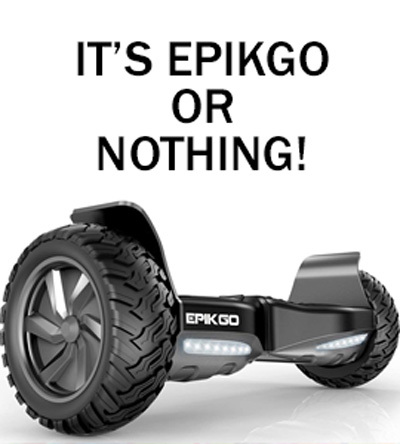 From the time of the Swagway X1 to the time of EPIKGO all-terrain hoverboards, I have used them all. In fact I have a bunch of friends who are all hoverboard enthusiasts, so I have been able to ride almost all the major brands of electric balance boards in the market, including the Ninebot Minipro which used to be Segway and many others. When it comes to hoverboards then I prefer taking my board along with me wherever I go, and that means I might need to carry it in public transport or into an office. That's where a good hoverboard brag comes in very handy. 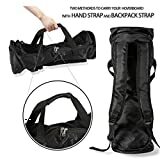 Since I know that many of you have the same problem of taking your hoverboard along and not being able to easily carry it over stairs or into a building etc., I have put together a list of the best hoverboard bags in the market toady. 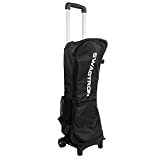 have put in short descriptions and also pros and cons, so that you can make a quick informed decision about what hoverboard bag will serve you the best. This really cool looking bag is made from braided nylon, is an EVA hard bag case and is both durable and good looking. One of its biggest plus points is that it will protect your hoverboard from scratches and dents. It is also made of a good waterproof material which will protect it from rain and snow. The bag is very well designed and will only fit the regular 6.5 inch wheel hoverboards. Your hoverboard will fit into it snugly and will make it easy to carry it around, no matter where you need to go. The Mifxin Hoverboard bag is available in a sleek black color. It is definitely among the best bags to carry your hoverboard. Along with the looks it also has great functional benefits. Its exact size is 66 cms X 26 cms X 19 cms. You can either starp the bag around your shoulder or carry it with the shorter strap.